Yesterday, Crikey readers were not convinced that certain issues were as simple as made out. Firstly, readers were divided on the issue of Kevin Rudd’s post PM noise (which Bernard Keane explained was driven by a distinct lack of attention), finding Rudd to be a flawed character in a flawed environment. 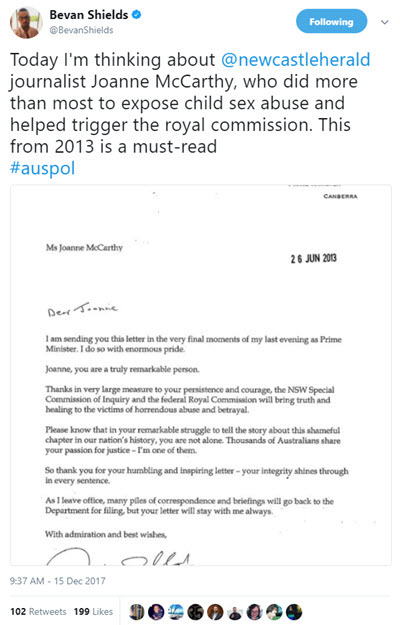 Then there was the case for Morrison’s apology on behalf of Australia to the victims of institutional sexual abuse (which Keane found exemplary), which readers found rich, considering the government’s current struggles with human rights. Tim writes: The last thing the world needs is Kevin Rudd floating about as the UNSG, a role he is demonstrably poorly suited for. His lack of ability for introspection and self-examination has seen him blame his downfall in 2010 on all and sundry — when all he needs to do to find the person at fault is find a mirror (or take a selfie). The Curmudgeon writes: Much on which one might comment, but: “tilt for UN Secretary-General when he couldn’t even get the support of his own country”. A little disingenuous, surely? Was he not promised support by Turnbull who then withdrew it as part of his routine of surrendering to the right and repudiating most of the things he stood for (including honourable behaviour), was left to Julie Bishop (apparently) to make the case (in vain) for keeping the commitment. I am aware of the dishonourable age in which we live, but not all of us have swallowed the idea that one’s word means nothing. Persistently Baffled writes: I’d pay good money to see any zoological exhibit with Kevin, Mark Latham and Tony Abbott in the same habitat. The jabbering and hooting may be a little too much for the kiddies, but think of the potential advances in the study of evolution. MJM writes: Yes he is bitter and twisted about his fate. But he brought it on himself. But he did do something notable that is worth remembering, especially in the context of yesterday: he apologised to Aboriginal peoples and he did it soon after he became PM and he did it extremely well. Many of us had long wanted that apology to be made. Gavin Moodie writes: It is hard to take this apology seriously from a government and an opposition that incarcerate children on Nauru. 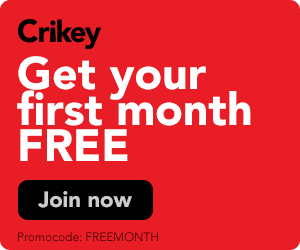 Joannamendelssohn writes: Morrison’s speech yesterday showed how easy it is to express regret for the crimes of others while ignoring one’s own. As some of the survivors pointed out yesterday, Australia is currently presiding over another generation of abused children (and adults) at Nauru and our various detention centres. It’s reasonable to assume that in less than 20 years time another Australian Prime Minister, with a sob in her voice, will echo Morrison’s words – but this time for our asylum seekers. John Attwood: “That, after all, is what a royal commission is …” Except when the Royal Commission is a specifically political witch-hunt intended to denigrate a lawfully organised Trade Union, of course. Then, it’s just a political lever. What a pity the Abbott/Turnbull/Morrison government cannot tell the difference! The final report of the Royal Commission into Institutional Responses to Child Sexual Abuse will be made public today. Here's how the media is covering it. Turnbull may have broken a promise to support Rudd for the UN position but the UN should be very grateful.